If the report is correct, and if Omar is persuaded to talk (which is not at all assured) the information he has could reduce the Taliban networks in Afghanistan and Pakistan to a level at which – for a time – they were no longer an existential threat to both governments. And, equally important, he could expose the details of the Iranian support of the Taliban, naming people in Iran, Pakistan and Afghanistan who give and receive arms, funding and training. But let’s not celebrate too quickly. First and foremost, we need to get the Pakistanis to delay giving him into US custody. That is contrary to our normal instincts, but this man – taken alive and brought to any US detention facility other than Guantanamo Bay — would be Mirandized and pushed into the civilian criminal justice system where he, and his ilk, manifestly don’t belong. We would be forfeiting months of probable success in interrogating him. The other reason to keep Omar in Pakistani custody is the Iran question. The Obama administration still hasn’t formed the so-called “high-value detainee interrogation group” promised as the alternative to the now-banned “enhanced interrogation techniques” which proved so valuable in the Bush era. If Omar can be persuaded to give up information on Iran, it should be either to CIA or US military intelligence personnel or to the Pakistanis. US civilian interrogators would be more susceptible to Administration pressure to ignore information about Iran which might put them in the position of having to do something serious in response to the information. Obama wants no inconvenient truths interrupting his “open-hand” strategy to Iran. CIA and military US interrogators – perhaps working with the Pakistanis in a Pakistani jail — can better question Omar on matters such as the Iranian Revolutionary Guard Corps’ involvement with the Taliban, what other sources of funding and support come from other Islamic countries, and what involvement do Russia and China have? (We know from the Pentagon report on Afghanistan released a week ago that the Taliban receive funding from many Islamic countries). And then there is the question of Usama bin Laden and his deputy, Ayman al-Zawahiri. Omar is reported to be close to them both, and if anyone could lead us to them, it is probably Mullah Omar. If Omar has been captured, there is a time window in which he must be questioned and the information he gives up acted upon. If the Pakistanis – or we — have Omar then the Taliban and al-Qaeda know we do. And they will change as much of the way they operate, their funds flow, the location of their people and supply trails as they can. If Thor’s sources pan out, this is excellent news, and a moment for real vindication for everyone – from the military brass to Republican leaders and conservative commentators to, yes, President Obama – who argued for pressing on for victory in Afghanistan and not abandoning the region to the Taliban. 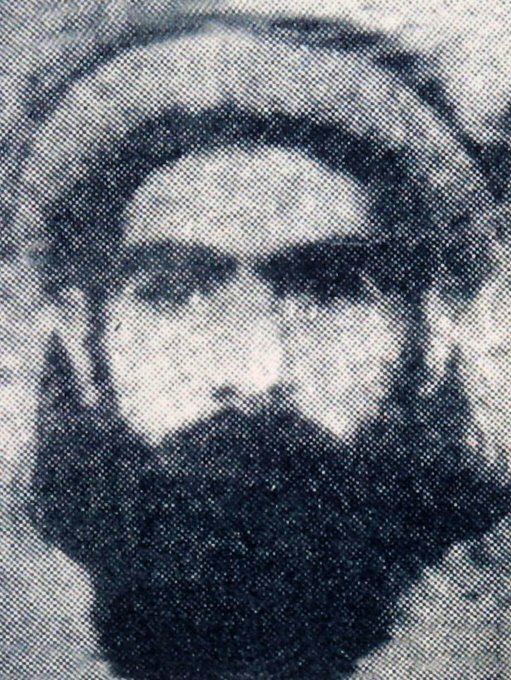 Of course, I’m guessing that if Mullah Omar has been held for some time now by Pakistani authorities without public disclosure of that fact, he’s probably been under questioning. Without being read any Miranda rights by the Pakistani government, one assumes. But doubtless we’ll learn more about what has happened and when, in due time. The Internet is abuzz about a report from BigGovernment.com’s Brad Thor (not a nickname!) that Mullah Omar, the leader of the Taliban, has been captured in Pakistan. Official sources cast doubt on the claim, although there’s a chance that news of his capture would be highly compartmentalized. Nonetheless, these sources are advising extreme skepticism in a way that suggests Omar is not in U.S. or Pakistani custody. Any reasons to believe? Well, (a) like Hillary said yesterday, it’s entirely plausible that jihadi double-dealers inside the Pakistani government know where this guy is. Picking him up isn’t so much a question of ability as a question of will. (b) Remember, they nabbed the Taliban’s number two back in February along with a bunch of other capos. Things got quiet after that, but there were suddenly a lot of people in custody who would have a good idea exactly where Omar is. Someone might have rolled over on him. (c) This could explain why the Taliban was keen to have Shahzad hit the U.S. homeland. A catch that big warrants a big reprisal. Any reasons not to believe? Yeah — namely, how come this hasn’t leaked? Nothing against Brad Thor, but this is so tippy top secret that he knows about it when the NYT, WaPo, and even Hillary Clinton don’t? Five weeks seems an awfully long time to keep something like this quiet. Also, why wouldn’t the White House or Pakistan or even the Taliban itself have announced the capture? I can explain the latter two — the Taliban doesn’t want to discourage jihadis in the field and the Pakistanis don’t want to draw their wrath — but The One has an obvious political incentive to put it out there. Maybe he’s holding back because Karzai and the Taliban are negotiating some sort of reconciliation deal behind the scenes and a formal announcement of the capture would explode the deal? If that’s what’s going on then the question turns to why Pakistan brought him in. Are they trying to force him to make a deal with the Afghans or are they actually trying to prevent it? Mullah Baradar, the Taliban number two, was allegedly keen on reaching an agreement but I’ve never heard that about Omar. No answers right now but it’s worth putting this on your radar screen. I have an e-mail out to Bill Roggio to see what he knows. Update: A commenter wonders where we plan on holding him if the rumor turns out to be true. Bagram seems awfully risky. If only we had a special prison somewhere outside the theater designated for jihadi enemy combatants. Update: Roggio e-mails to say that he’s heard not a single peep from anyone, U.S., Taliban, or otherwise. Unsurprisingly, Big Government isn’t getting much support from the mainstream media. In fact, even among default allies like RedState and Hot Air, there seems to be a level of skepticism. RedState reported it with a question mark and made sure to point out Thor’s credentials as a “best-selling novelist.”Allahpundit at Hot Air went through a list of reasons to believe the story— namely that Secretary of State Hillary Clinton had commented that she believed Pakistani authorities had information on the Taliban they were refusing to share— and reasons not to believe the story (“how come this hasn’t leaked? Nothing against Brad Thor, but this is so tippy top secret that he knows about it when the NYT, WaPo, and even Hillary Clinton don’t?”). Marc Ambinder at The Atlantic also reported it with extreme skepticism, but other than these sites, no one seems to have picked the story up. Reporting the story is a peculiar decision to make on the part of the Big sites (Big Journalism ran it, too), as they usually stay away from major foreign policy journalism. Not to mention that by Brad Thor breaking it, he is putting professional provocateur Andrew Breitbart’s reputation at risk, as well. Breitbart’s sites have rarely broken a story without video evidence, and the Big sites usually shy away from news from outside the US, with the exceptions of denouncing Che Guevara’s war crimes or updates on Hugo Chavez’s crackdown on the Venezuelan media. If he’s right, Breitbart will have branched out as a legitmate source on military intelligence and beaten all of the mainstream media to the punch; if he’s not, he just gave all of the media– not just his enemies– carte blanche to ignore anything and everything he says, a risk that doesn’t seem to be worth the short-term increase in web traffic.